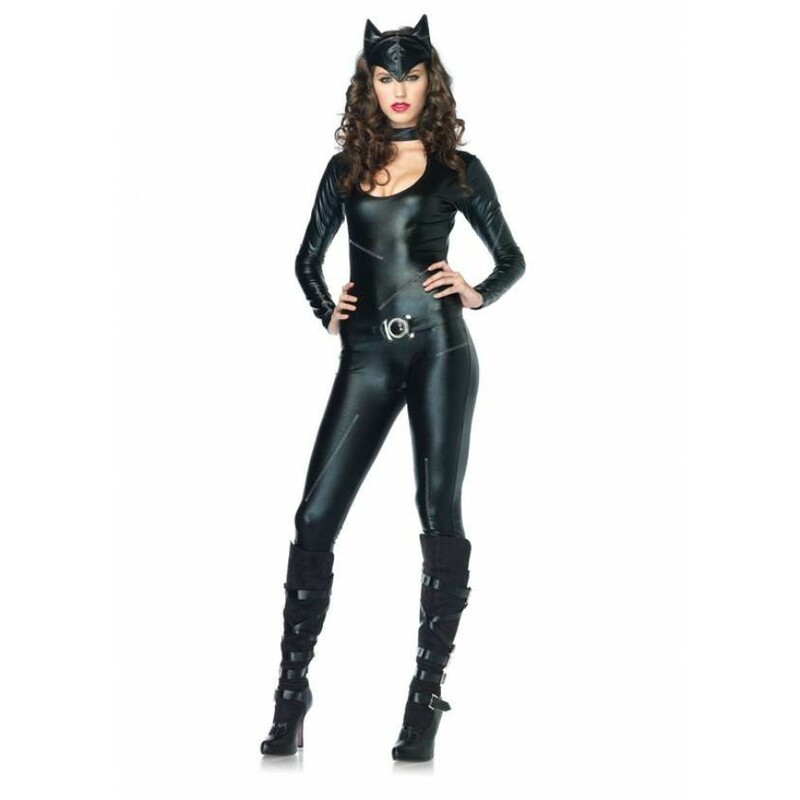 Catwoman inspired adult costume set. Feline Femme Fatale 3 piece costume set includes keyhole catsuit with stitching detail and attached tail, belt, and matching ear headband. Item Number: LA-c83767 | Approximate Size (Inches): 10.00 wide x 3.00 deep x 14.00 high | Approximate Shipping Weight: 2.00 lbs.